A different kind of doctor. At SureAccess MD, LLC, we care about our patients. Our unique membership-based model allows our doctor to spend more time with each patient by keeping our patient-base low and offering high-quality, one-on-one care any time. 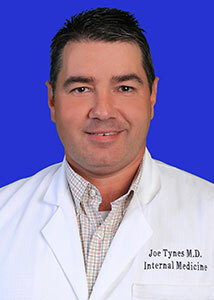 SureAccess MD, LLC Welcomes Dr. Joe Tynes to Our Practice! We are a primary care medical practice with direct access to your physician. SureAccess MD, LLC takes care of its patients by giving them ample time with the physician, as well as enhanced access to the practice through phone, texting, or email. Call 318-935-6177 to inquire about membership.